Regal Lion Sentinels of Grisham Manor Statues Garden Sculptures. 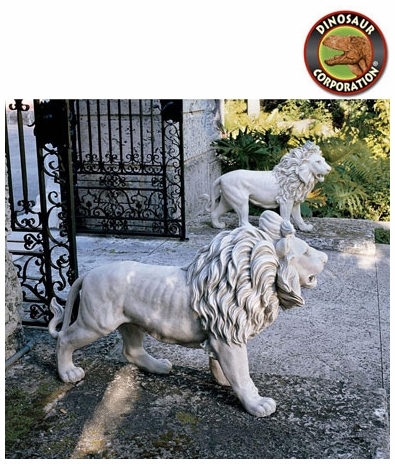 Add the subtle sophistication of these magnificent sculptural lion sculptures to your own home or garden. Muscular, three-foot-long bodies poised in mid-stride, these powerful lion statues are the embodiment of strength and courage. Our powerfully muscular classic art animal sculptures will lend quiet strength and courage whether flanking an entryway or standing sentinel near a garden gate. 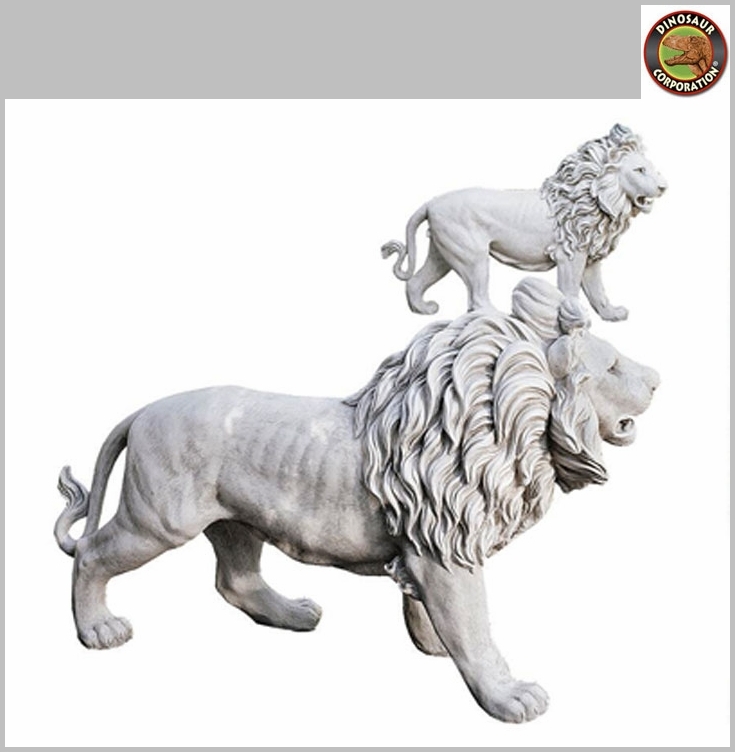 Unparalleled as classic art, our enviable, quality designer resin, faux stone lion sculptures are a study in affordable elegance. * Size: Each approx. 37" W x 11 "D x 25�" H.